Barranquilla, Colombia.- Dominican weightlifter Luis García on Fri. won the gold medal in the 56 kilo category by lifting 123 kilos, which sets a new record. The previous mark in the Central American and Caribbean Games, which was 122 kilos, was held by Venezuelan Víctor Castellanos in Cartagena in 2006. 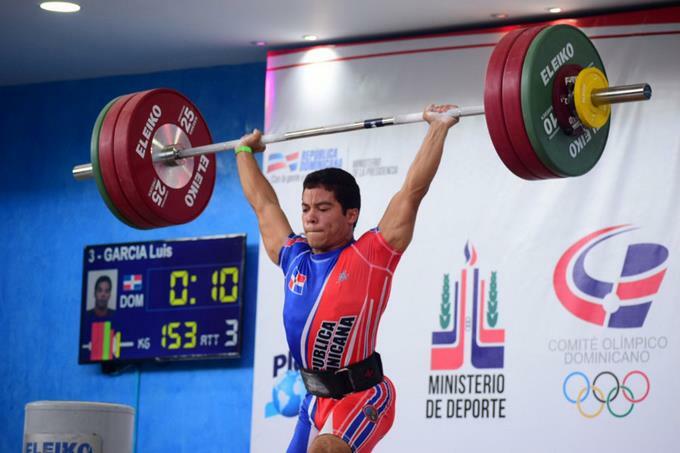 The silver went to the Colombian Carlos Andrés Berna, who lifted 122 kilos in his last attempt, while the bronze went to Cuban Otto Félix Oñate, lifting 108 kilos.